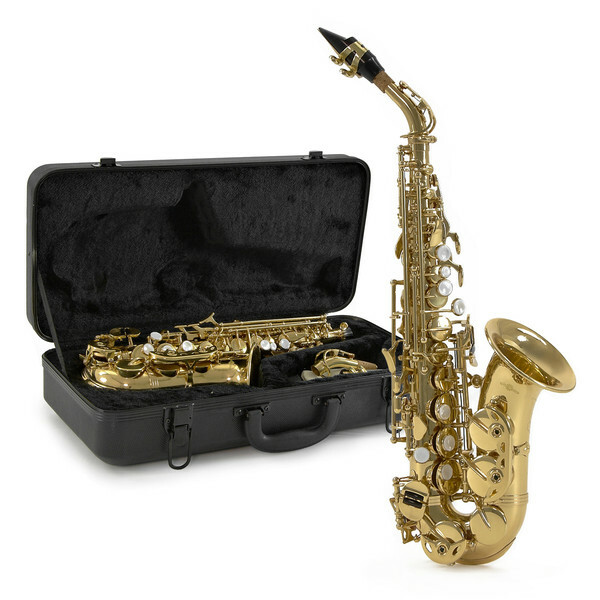 A gold lacquered Bb soprano saxophone in the less common curved shape, the Curved Soprano Saxophone by Gear4music comes as a complete outfit with strap, mouthpiece and ABS case, meaning you have everything you need to start playing Soprano today. 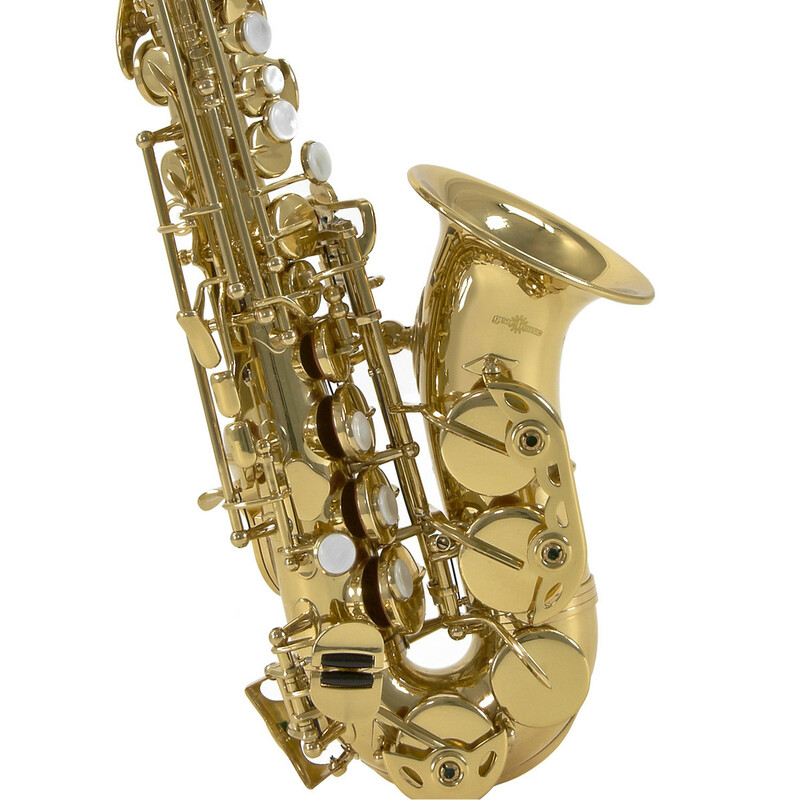 A great instrument in the rarer curved shape, a must for all saxophonists. 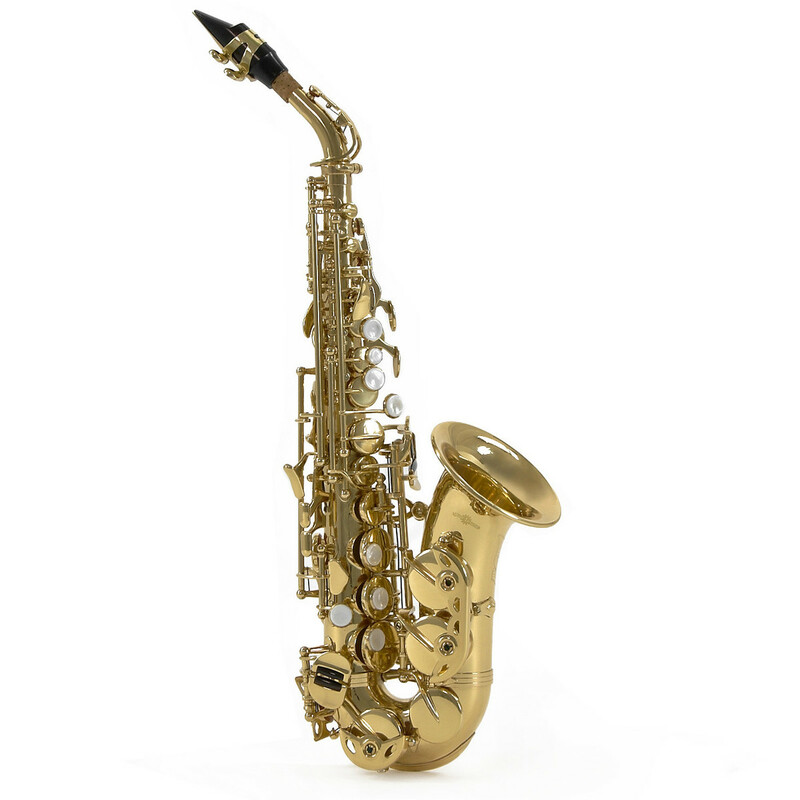 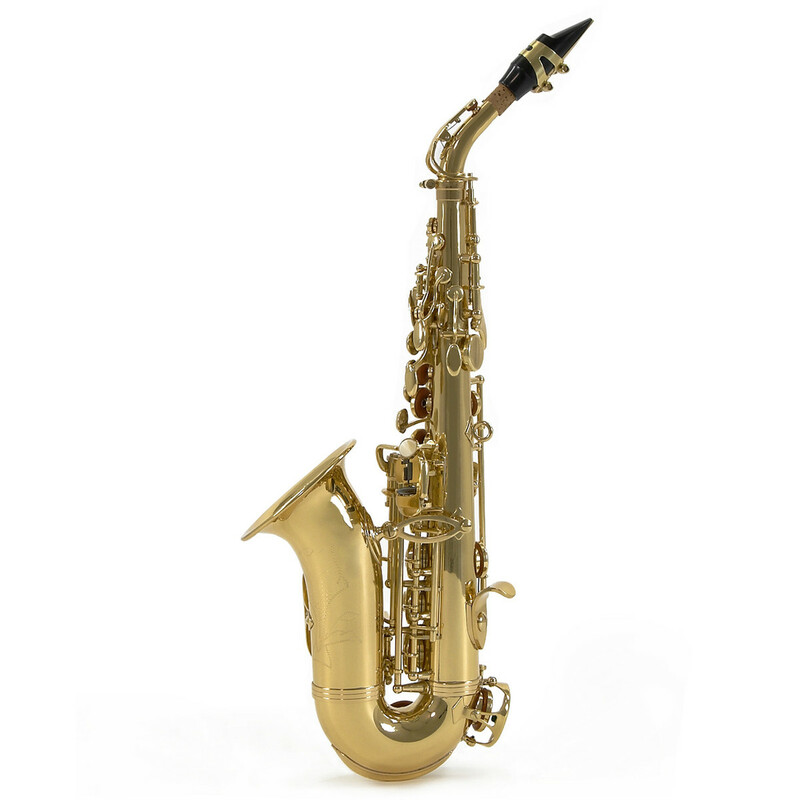 The light feel and excellent response of the Curved Soprano Saxophone, along with the warm tone and presence make it stand head and shoulders above other soprano's of the same price range, with the added advantage of the less common traditional curved shape. We feel this Soprano sax offers fantastic value for money whilst still providing high class performance and excellent durability. 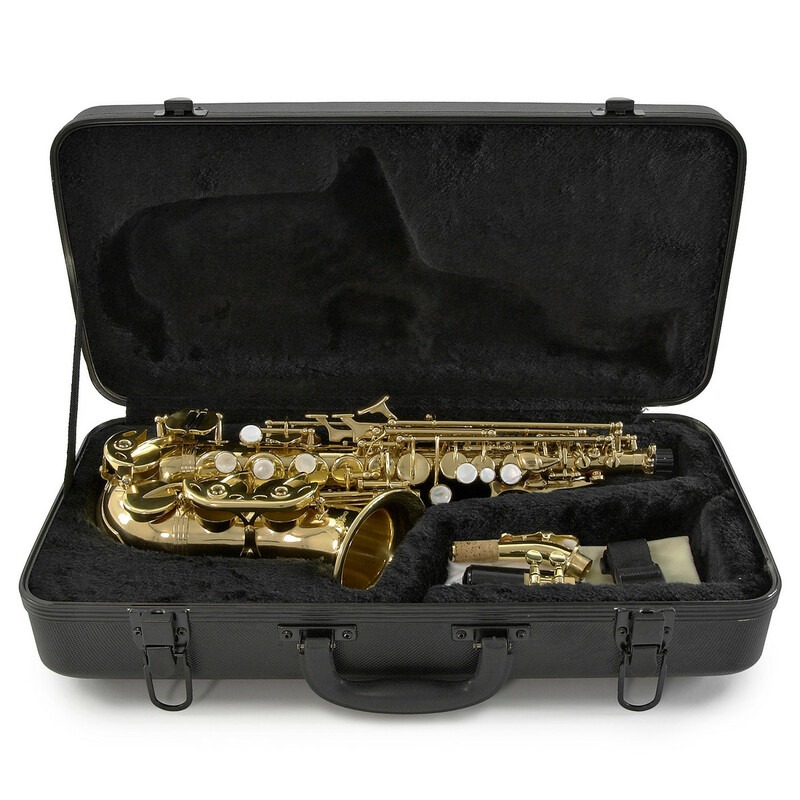 The JBSSC-310GL comes complete with an accessory set including a reed, strap and ABS hard case which epitomises these qualities.